Welcome to South Shore Photo Booth! 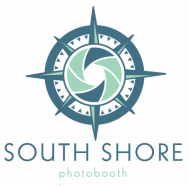 South Shore Photobooth is an open air interactive photo booth perfect for your next party or event. Brand your event and share to social media instantly. Our modern open-air photo booth is different from the old 3x3 box booths (yuck!). SSPB is based out of Hingham, MA and promises you and your guests will have the time of your life. We use a high end DLSR camera and lens, as well as professional studio lighting. We promise quality photos and most importantly a night you will never forget. Why Do You Need a Photo booth you Ask? Besides the very obvious fun aspect, renting a photo booth for your event also provides your guests with a wonderful and memorable take-home gift that will keep them laughing for years to come. Your beautiful photos are going to be shared with friends and family, posted on Facebook, put on refrigerators and office screen savers. They will be enjoyed time and time again. They will remind your guests long after your event just how much fun they truly had. Our booth has been perfected to include professional studio lighting and custom backdrops to give you the best image quality possible. Once you're done, you can instantly view and print through one of our iPad kiosks. Share, Print, Email instantly. It doesn't get any more fun than that! Our friendly staff will be at your event the entire time. No need to worry. We stay engaged, we laugh, and we may even just jump in on one of your photos. NO WALLS = NO RULES !